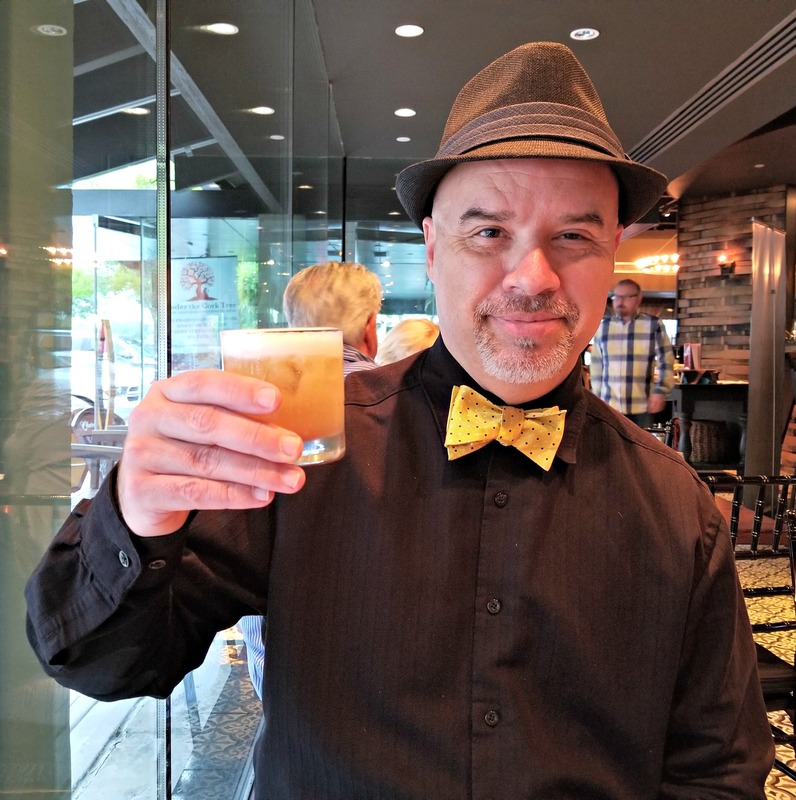 Along with a slight chill in the air, leaves turning the vibrant colors of Autumn and Friday night lights, nothing signifies the true beginning of fall more than the first sip of a perfectly crafted Old Fashioned cocktail. That said, not all bourbons and whiskeys are created equally, so we must choose wisely. Michter’s is a most wise choice. 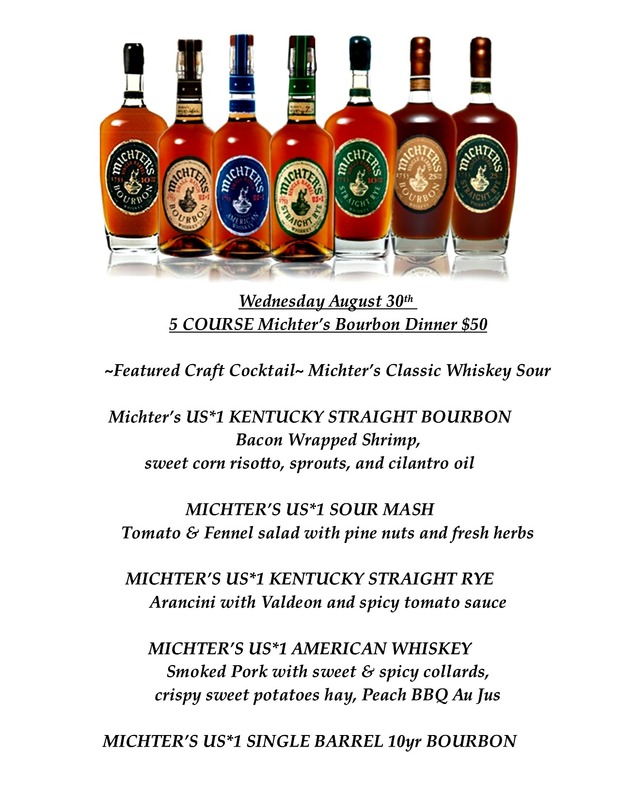 The Cork Tree recently hosted Michter’s Limited Production American Whiskeys for a fabulously paired 5-course bourbon dinner. 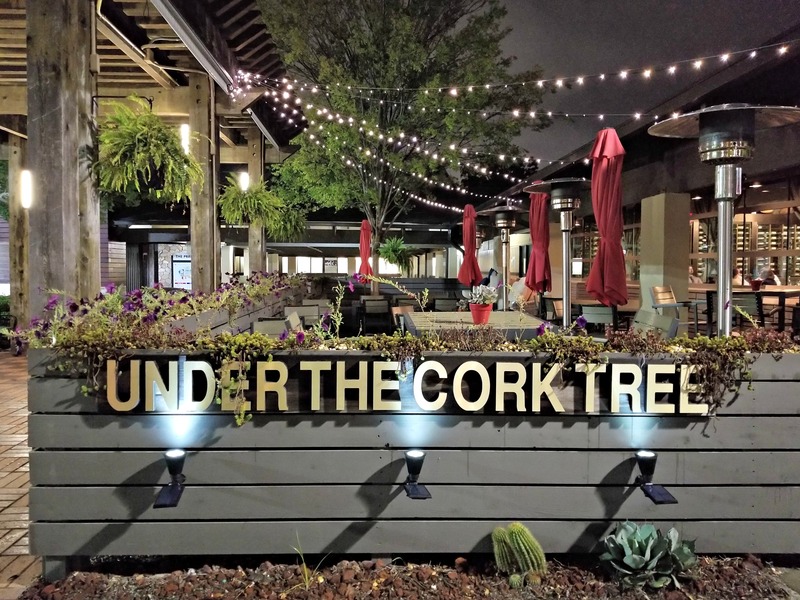 At Under The Cork Tree, Jason Sheetz and Chef William Sigley of Hammocks Trading Company present guests with a taste of the Mediterranean. The menu features the exotic and bold flavors of the Mediterranean prepared with only the freshest of ingredients in our open kitchen. Upon arrival guests were presented with our first taste of the star of the evening, a perfectly crafted Michter’s Classic Whiskey Sour. Whiskey sours are hit or miss based on the amount of sour to whiskey, and this was definitely a hit. 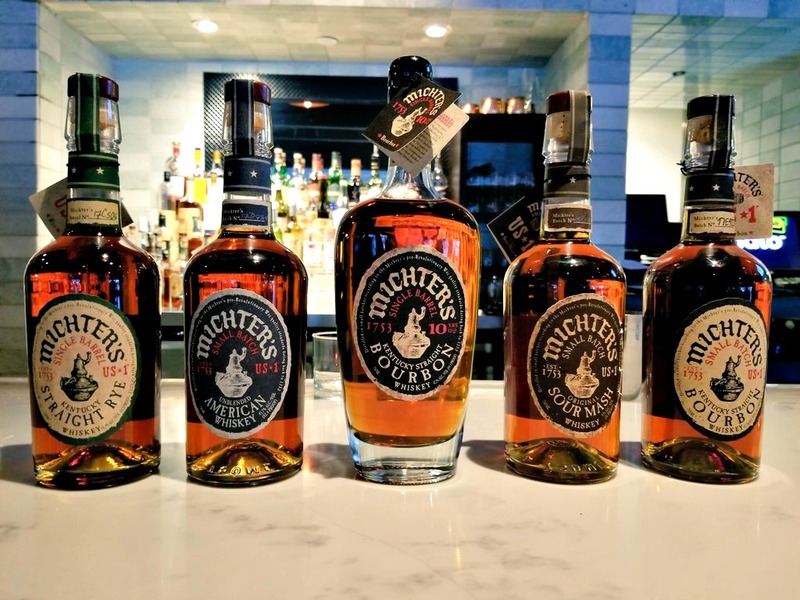 The US *1 expressions, so named to honor Michter’s heritage harkening back to America’s first whiskey company, consist of some of the finest single barrel and truly small batch whiskeys available. Distilled to Master Distiller Pam Heilmann’s exacting specifications, no US* 1 whiskey is ever released until Pam and the Michter’s tasting panel deems it ready. 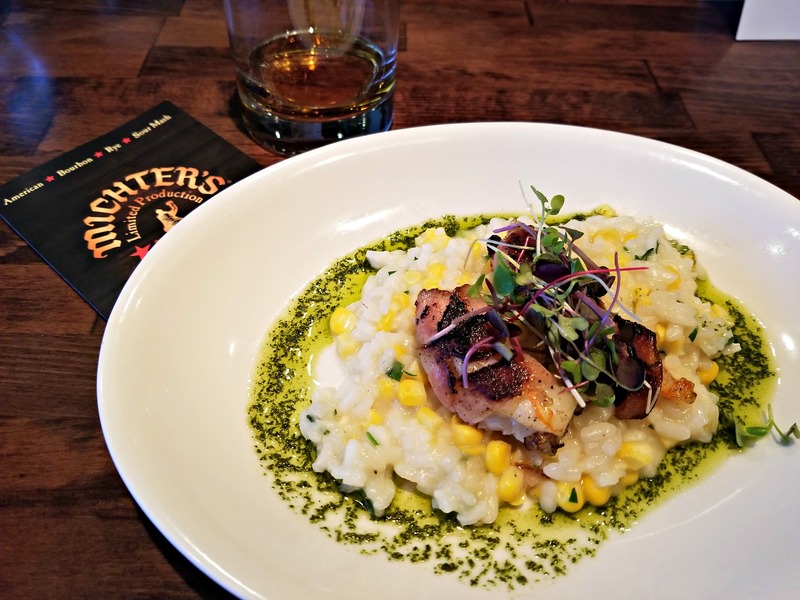 For our first course, guests were presented with a delicious combination of Bacon Wrapped Shrimp, Sweet Corn Risotto, Sprouts and Cilantro Oil paired with Michter’s US*1 Kentucky Straight Bourbon. Excellent pairing. 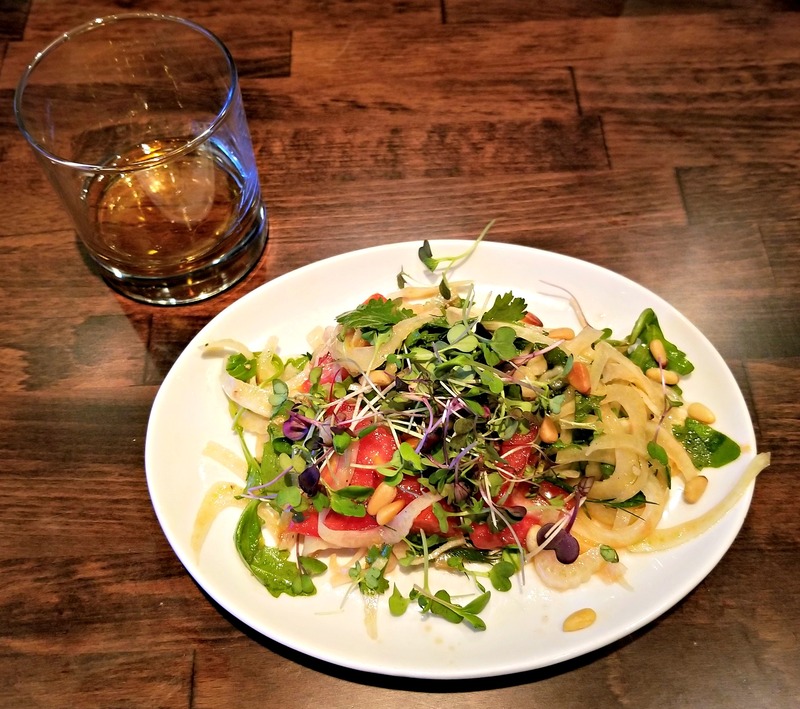 Our second offering of the evening was a delightfully light Tomato & Fennel Salad with pine nuts and fresh herbs, paired with Michter’s US*1 Sour Mash. This was my favorite Michter’s sample of the evening. 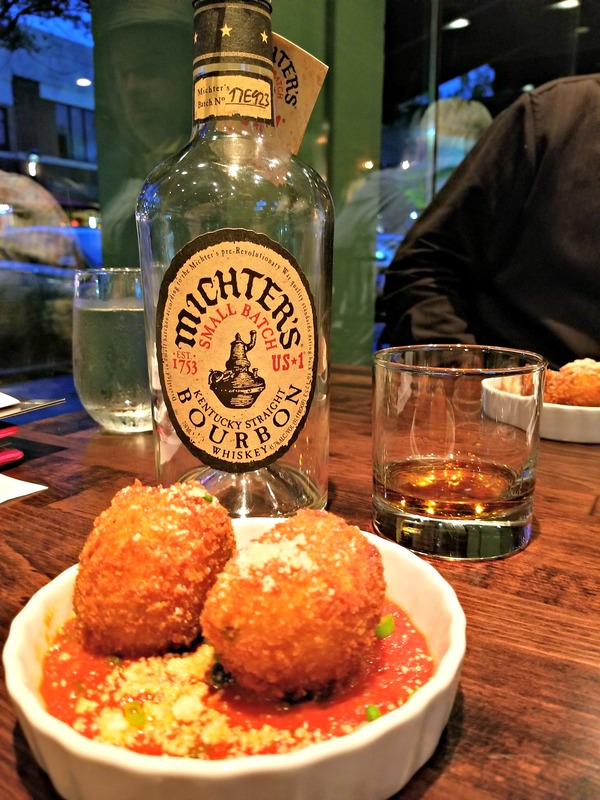 The evening’s third course brought my favorite pairing of Arancini with Valdeon and Spicy Tomato Sauce paired with Michter’s US*1 Kentucky Straight Rye. There’s just something extra special about mildly spicy foods and Rye, like a little dance on your tastebuds. 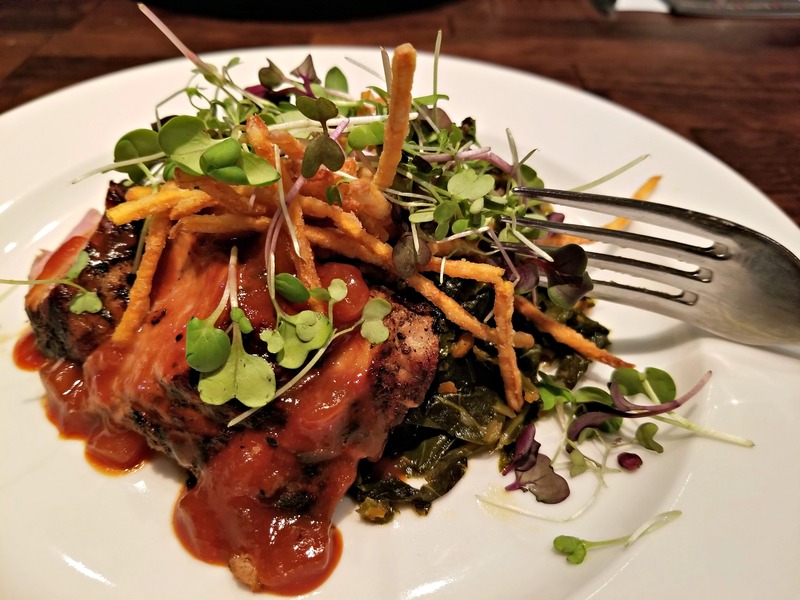 Smoked Pork with Sweet & Spicy Collards, Crispy Sweet Potato Hay, dressed with Peach BBQ Au Jus was the fourth course of the evening, expertly paired with Michter’s US*1 American Whiskey. Again, the mild spice of the collards was fantastic with the whiskey. 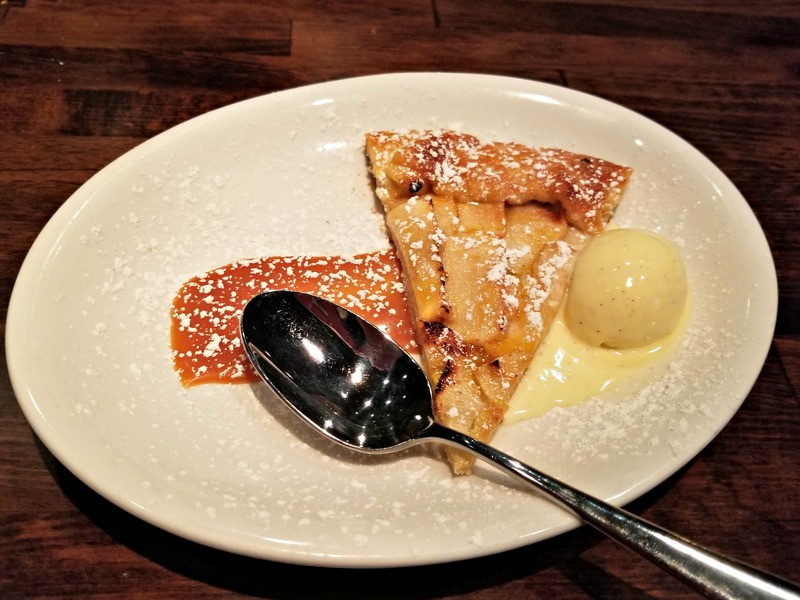 Our final offering of the evening was an Apple Crisp with Vanilla Bean Ice Cream paired with Michter’s decadent US*1 Single Barrel 10-Year Bourbon. As true lovers of all things bourbon and whiskey, this was a perfect date night for me and the Mister. 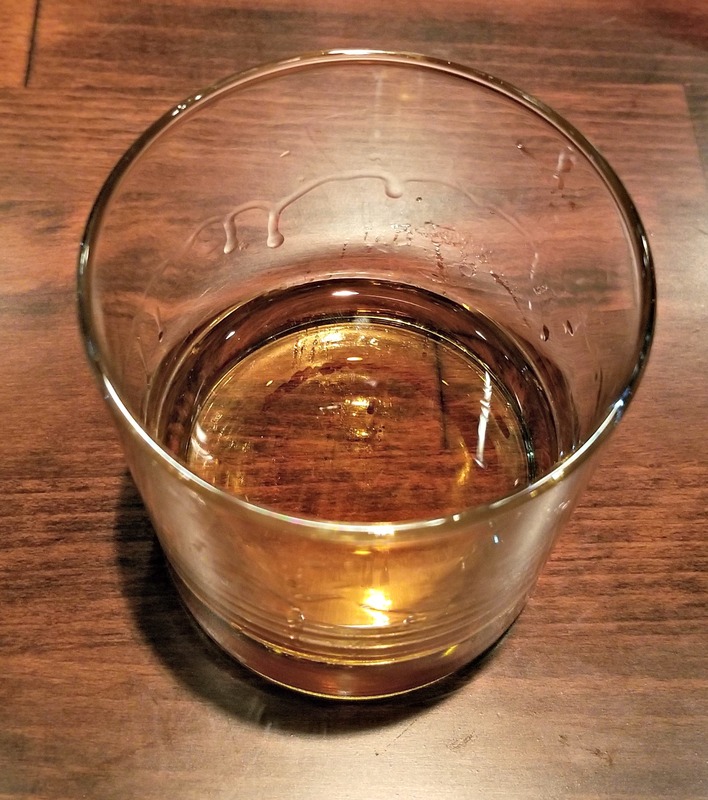 I was new to the Michter’s brand of bourbons and whiskeys but I’m certainly a fan. 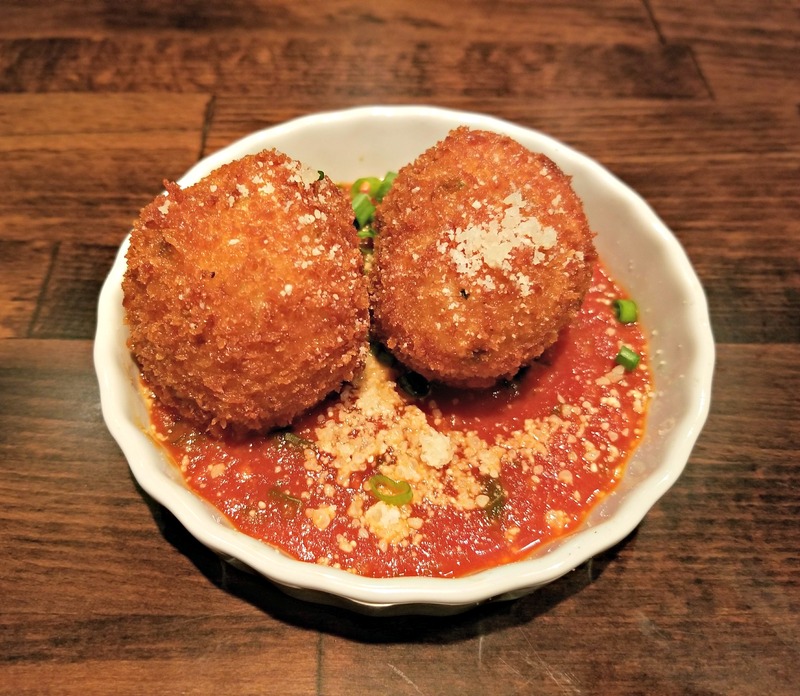 I was also new to Under the Cork Tree and completely fell in love with the atmosphere of this restaurant. In true Southern Style, no drop wasted. Guests can choose to dine in our beautifully appointed dining room, on the patio or in our comfortable tapas lounge and bar. 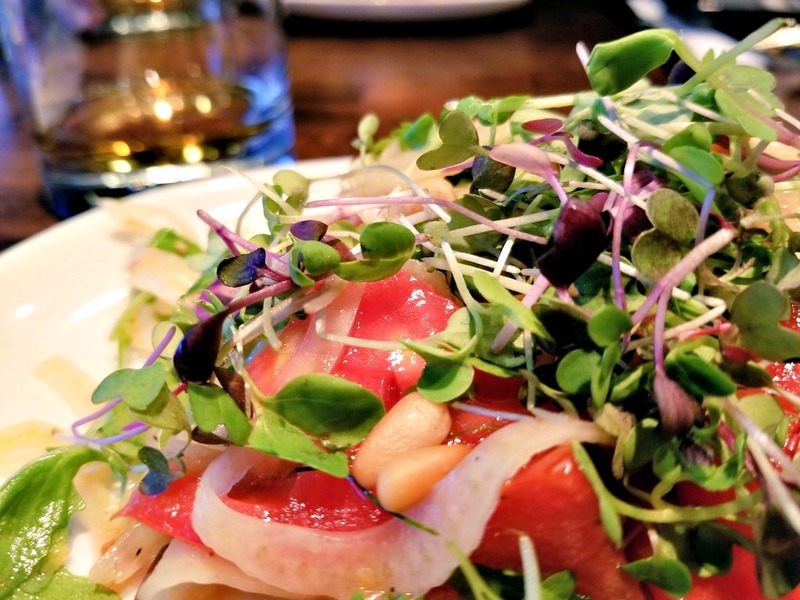 While enjoying traditional Mediterranean tagines, our wood fired oven flatbreads, a variety of tapas or in-house prepared pastas guests get to fully appreciate the culinary and cultural richness of the region. 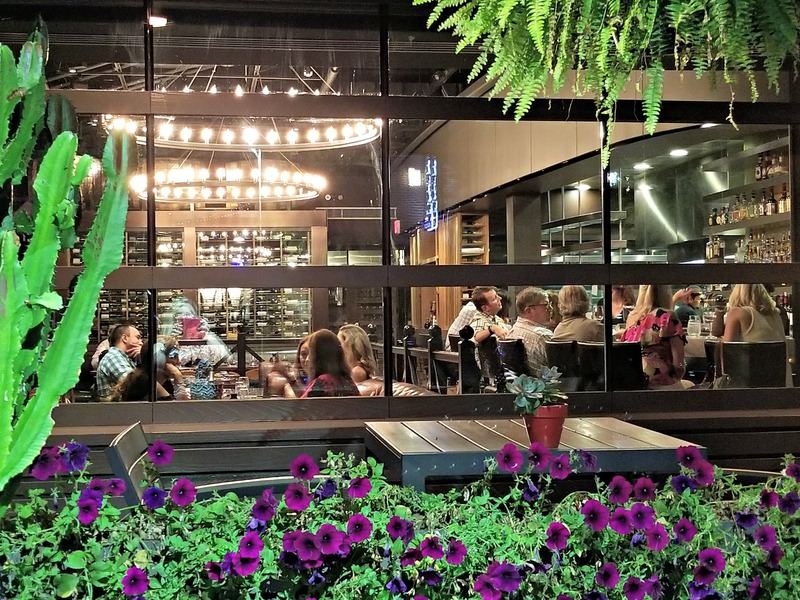 Heather Sigley has prepared an extensive wine list featuring over 200 wines from across the globe. Guests can easily explore our selections using our interactive ipads. The private dining room can be reserved for parties up to 12 people and features AV capability. 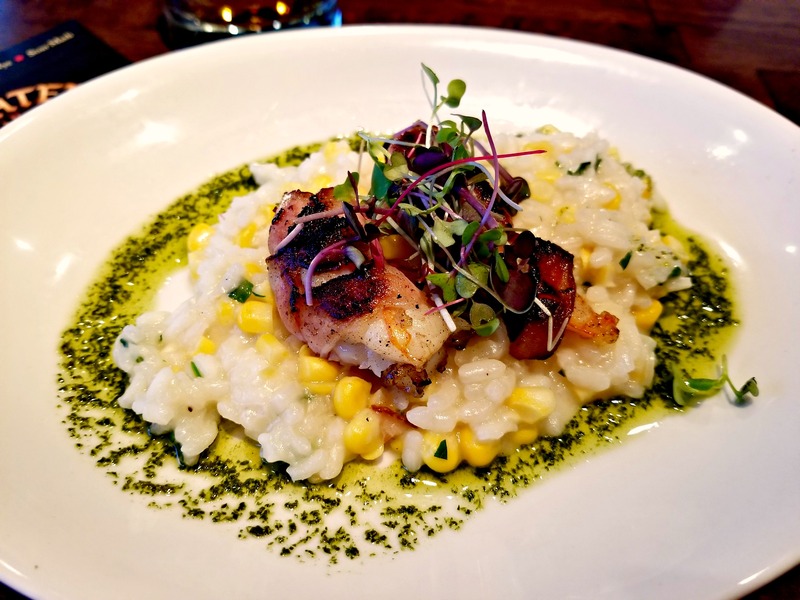 For more information you can visit their website at corktreerestaurant.com. Today, Michter’s has two locations in Kentucky – a 67,000 square foot distillery in the Shively section of Louisville and, currently under renovation, the architecturally significant Fort Nelson Building in downtown Louisville. 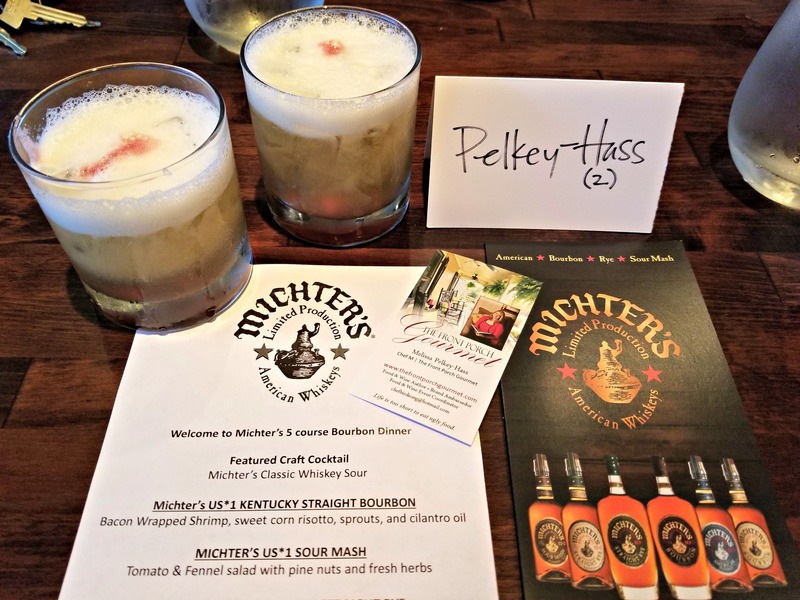 For more information on Michter’s you can visit their website michters.com. We would like to thank our sponsors, Under the Cork Tree & Michter’s for a complimentary, memorable experience. 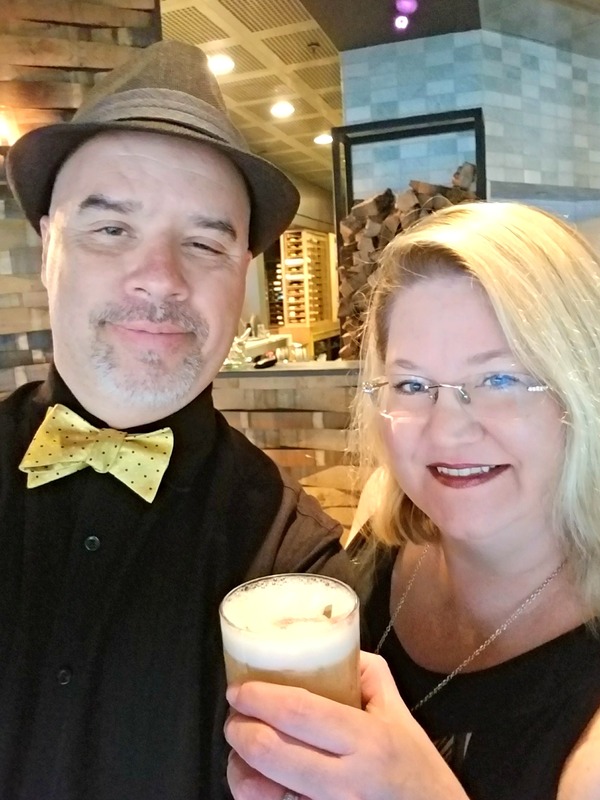 We would also like to thank our readers for allowing us to share our thoughts and opinions on these complimentary tasting experiences and products with you. Thank you for your confidence in us and thank you in advance for visiting and supporting these businesses.